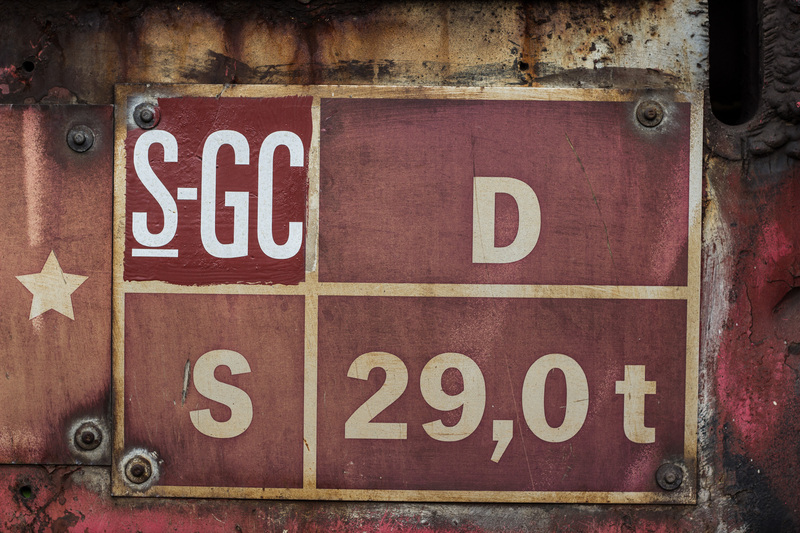 I found this sign bolted onto an old rusty railroad-boxcar. I don’t know if it was in working condition, but the whole thing was rusty as hell and looked as if it had been sitting there for several decades. The sign was also old and weathered, marked by years sitting outside – except for the one corner that looked as if it had been painted just a short while ago. Quite curious.